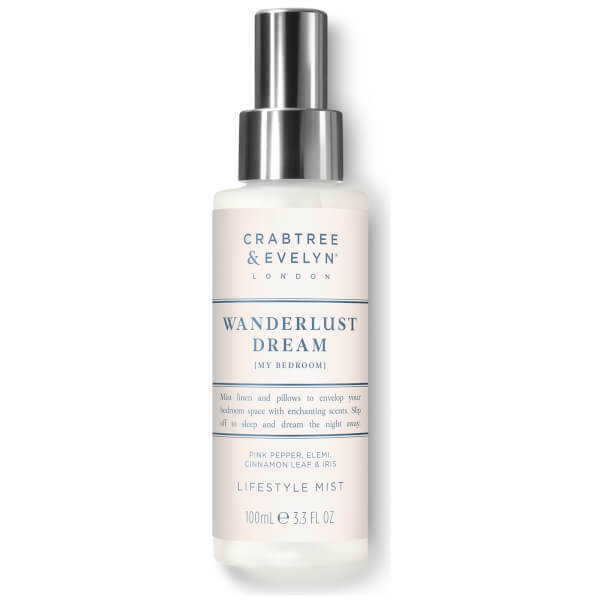 Experience a relaxing Zen with the Crabtree & Evelyn Wanderlust Dream Lifestyle Mist. Perfect for pillows, linens and towels, the perfurmed spritz inspires feelings of calm and relaxation to prepare you for a good night's sleep. Combining warm, earthy notes of Pink Pepper, Elemi, Cinnamon Leaf and Iris, the home fragrance can be spritzed onto pillows before bed, misted onto towels or diffused into the air for an aromatic lift. Soothing and relaxing, the lifestyle mist will help you to unwind so you can enjoy a peaceful night's slumber.